Help the Beach Bums welcome David 'No Way!' Burlet on Celebrity Saturday. 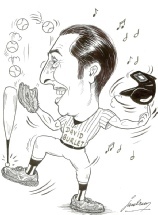 David Burlet will no doubt prove to all the fans why everyone exclaims “NO WAY” when he performs! Juggling everything he can get his hands on, David “No Way” Burlet will surely keep and the Beach Bums’ fans amazed and entertained throughout the night. Don’t miss Saturdays in 2011 at Wuerfel Park because each night will each feature a different celebrity! What will you discover at Wuerfel Park during the third game of the three game series against the Joliet Slammers? 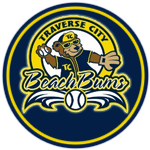 Join us for the fun, support the Beach Bums and celebrate a Saturday night!